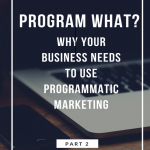 This is number three of a series of articles that will guide you to a clearer understanding of what Programmatic marketing is. Therefore, that is the beauty of programmatic marketing, large or small businesses are able to benefit from it. So why are you not hearing of every business using this marketing strategy if it is so great? Well, there is only a small group of individuals that understand the process. The other group, have the fear of changing their business marketing strategies because it is something new. The current users of programmatic marketing are marketing agencies and large businesses. There are groups of people within the business that take care of just the programmatic marketing side that is not automated. The smaller to medium size businesses can also utilize programmatic marketing because it is budget-friendly! 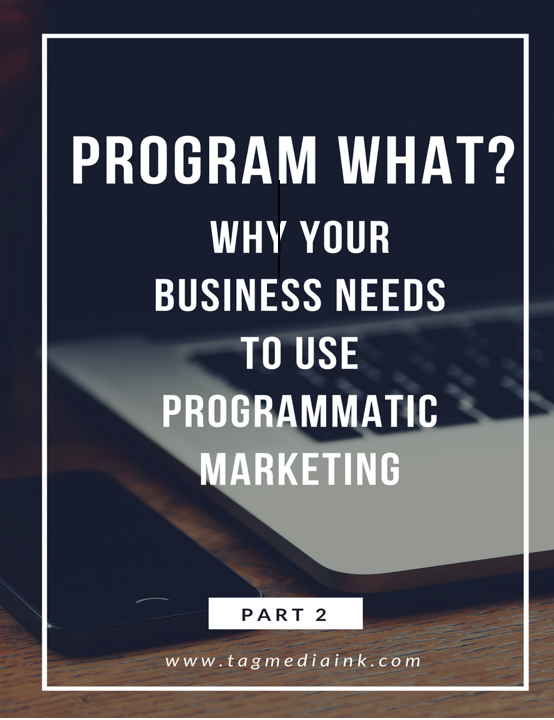 Why should people use programmatic marketing? It connects you to the right audience you are trying to reach. It builds relationships with companies that have relationships with the group of people you are trying to aim at. There really is not much room for human error. Since it is all algorithms and automated selling, versus having to manually sell every time. There is so much more to learn about programmatic marketing. This only scratches the surface. Just remember, the quantity of people does not matter if it is the wrong crowd you are talking to. As a business owner trying to market, you need to be up to date with the newest ideas and marketing trends. Tag Media find what fits for your marketing strategies and dive into it today. Decided your new marketing strategy with programmatic marketing? Tag Media + Ink can provide assistance with marketing efforts for your new marketing efforts! Programmatic Marketing- Why Your Company Needs to Know about Programmatic Marketing!